Here is the completed quilt. I am glad to finally have it done. 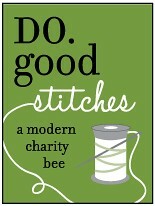 It did not turn out quite like I envisioned in my head and there are lots of mistakes, but I feel ok with that. I washed and dried it today and I like how it turned out. I promised a tutorial of sorts, so see below the pictures for that. solid and patterned fabrics. 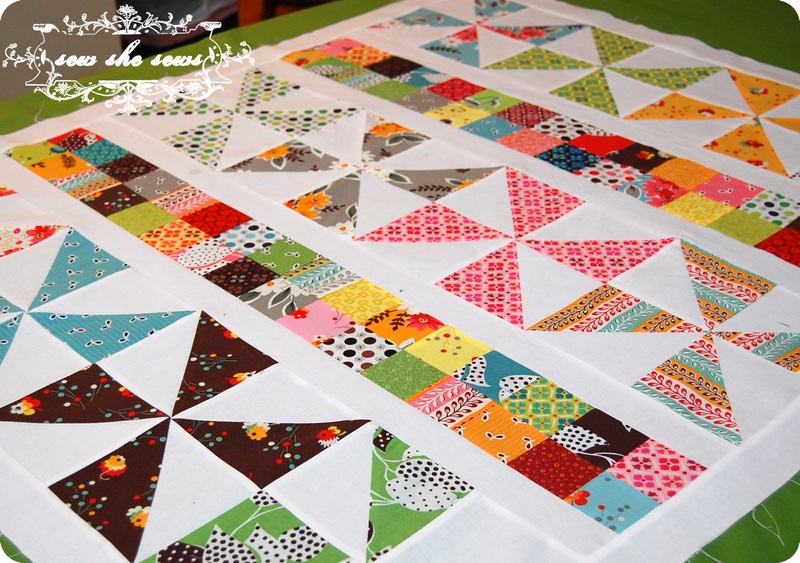 Fq’s of patterned fabrics should be plenty for this size if you use variety. For the solids, buy a yard or so. 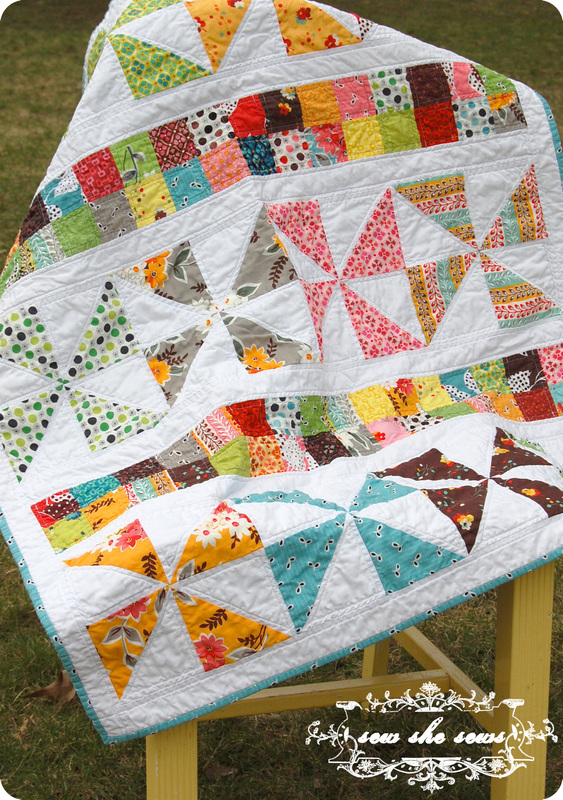 For pinwheels you will cut out 5″ squares of equal amounts of solid and patterns. 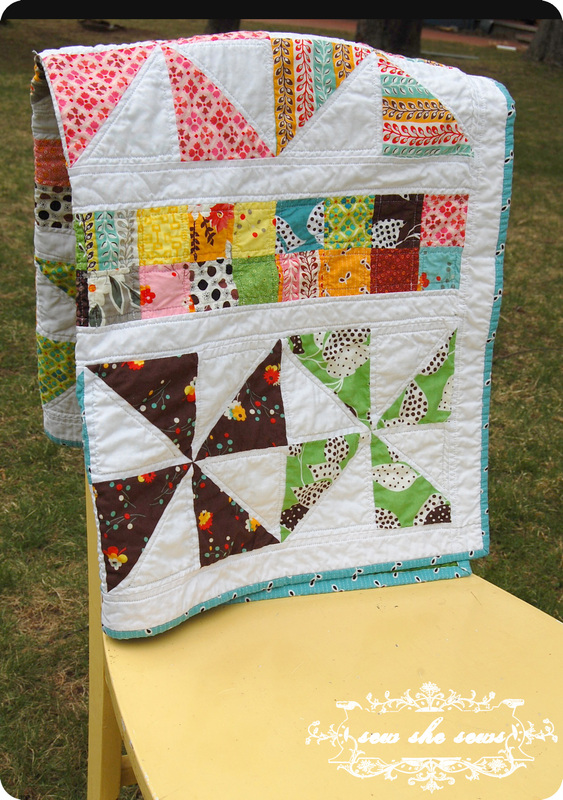 You will need two squares of each patterned and solid fabric to complete one pinwheel. I used 12 different fabrics for the pinwheels. So, 2 of each equaling 24 squares and 24 solid squares. For postage stamp squares cut 2.5″. I used 16 per row with 4 rows total. cut 5-6 staight bias strips for binding at 2.25×44. 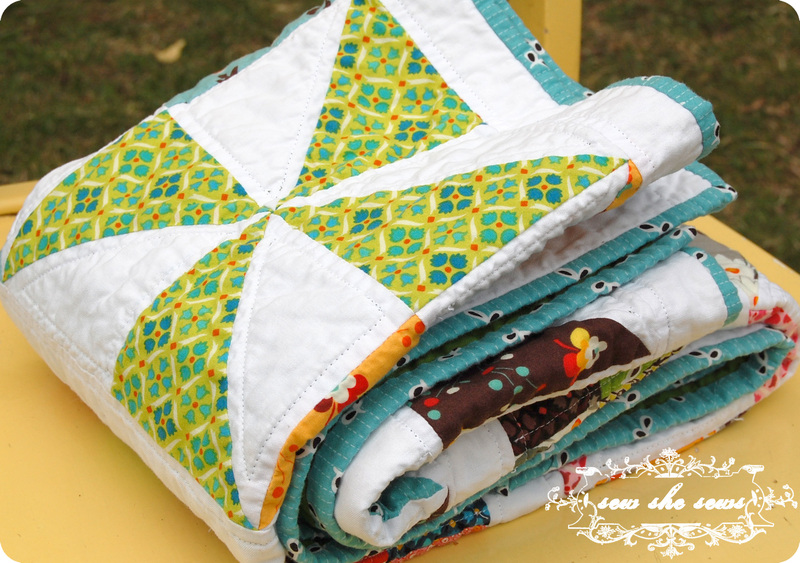 Your pinwheels should come out at 9″ and then will measure 8.5″ when sewn into the quilt top. For a good tutorial on pinwheels see here. Assemble 4 pinwheels together into a row. Press seams open when linking pinwheels together. Make sure to back tack on the open seams, opening the seams takes away a lot of bulk. Trim if necessary. Add side sashing along entire length on both sides of top. Baste backing fabric (face down), batting, and top (face up) and pin or spray to hold. Quilt as desired. 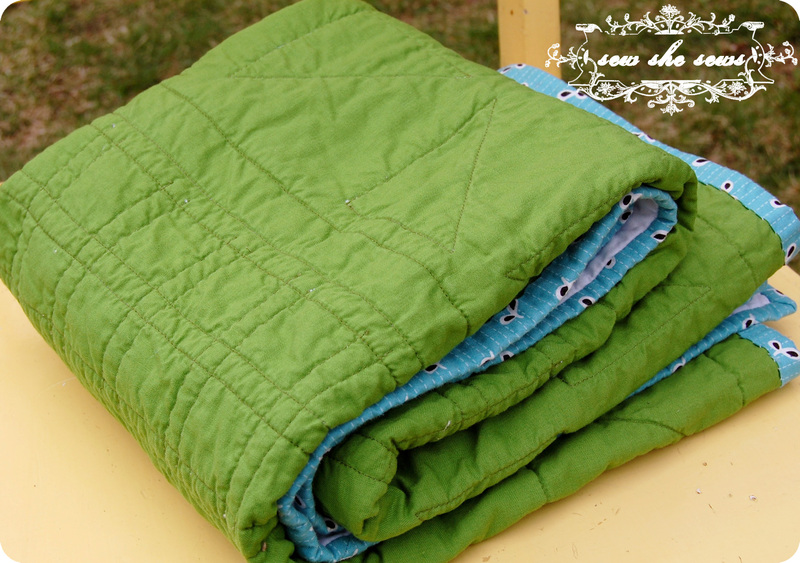 I wanted a cozy looking quilt so I quilted very minimally tracing the outline of each square 1/4″ inside. I always add vinegar to my wash and use dreft or woolite as a soap. The vinegar helps fabrics from bleeding. If you are worried (like with red fabrics) you can prewash your fabrics before starting. Dry using low heat. Where do you find the time to do this!? You’re seriously amazing!!! 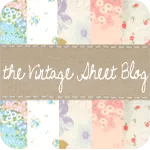 I love all your fabric projects…ALL OF THEM! Lovely! The bright colors are cheerful. I am currently avoiding quilting my first quilt together, having pieced it and it sits, pinned and ready for love. I didn’t know about vinegar either – thanks for the trick! it is really beautiful jaime! I love it, it is gorgeous! You are my hero. Thanks for sharing! 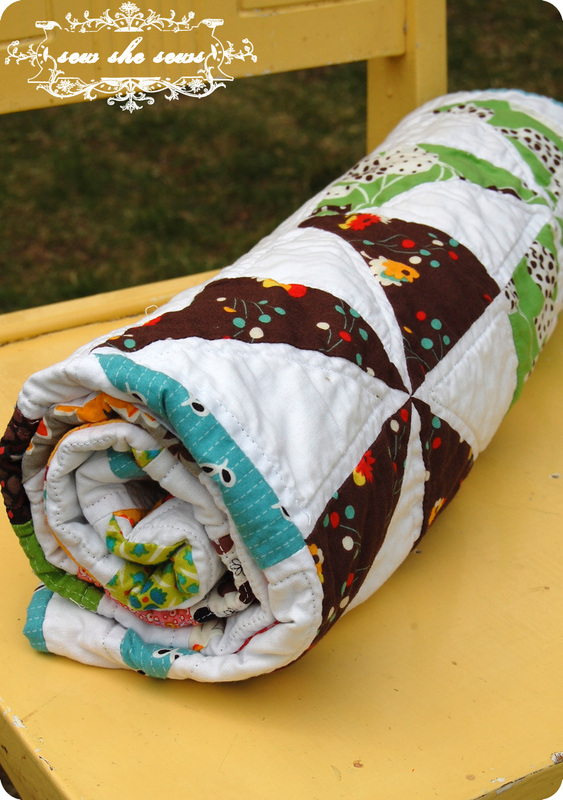 This quilt is so pretty! I love it. Thanks for the pattern. I am going to try it with a charm pack. I think it will work out. Love this pattern! Going to try it. Thank you for this pattern! Thank you for such lovely inspiration.